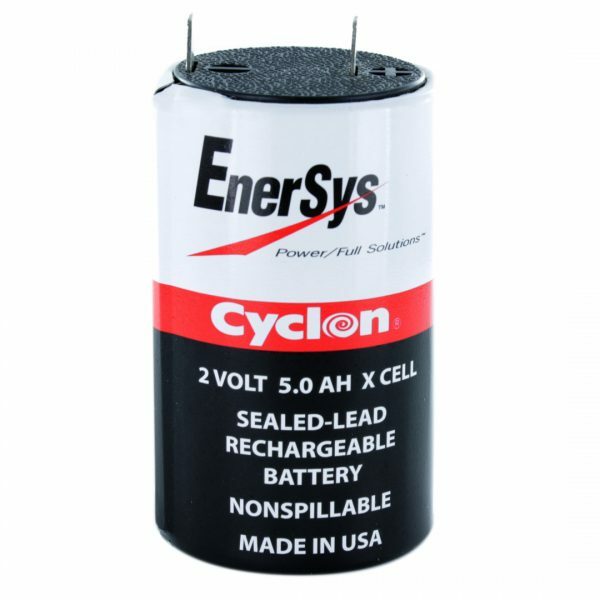 The EnerSys Cyclon 0800-0004 is a pure Lead-Tin rechargeable Cyclon X cell. The purity of the materials used is the key to supporting the Cyclon batteries performance benefits which include a longer service life, combined with higher reliability and fewer system failures, which results in an excellent cost-usage ratio. Cyclon cells will deliver up to 300 cycles (100% DOD, C/5), experience no “dry out”, have a high stable voltage delivery and flat discharge voltage similar to that of NiCd cells.